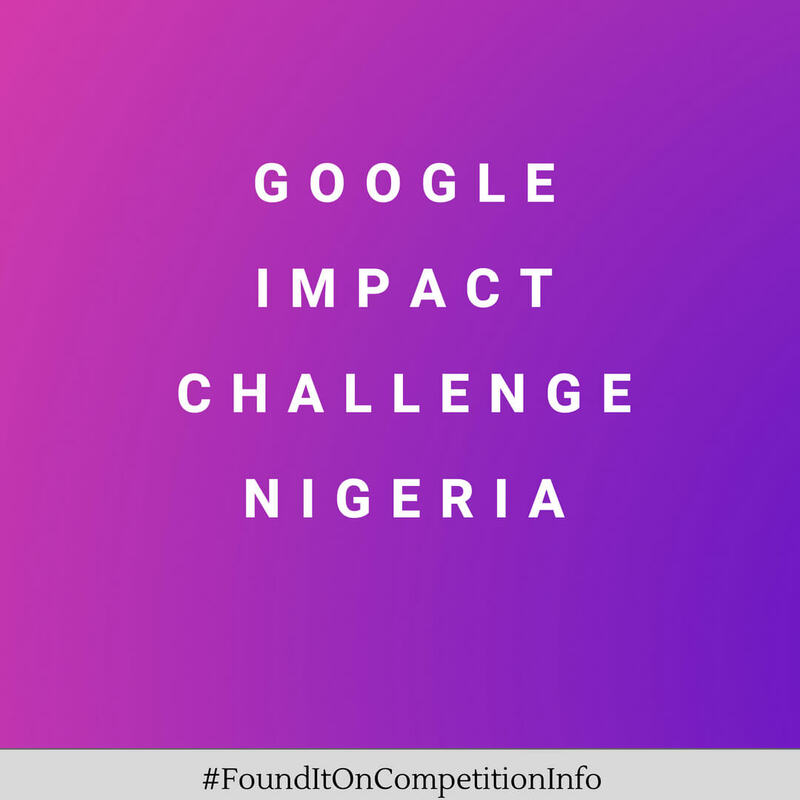 The Google Impact Challenge Nigeria empowers Nigerians to drive community impact. This competition supports nonprofits and social enterprises with game-changing ideas to create economic opportunity in their communities. Local innovators are invited to propose how they would make their community – and beyond – an even better place. It is the first time this contest is holding in Nigeria. 12 finalists will be invited to pitch their ideas to a panel of Judges at a final event. The people's choice winner from a prior public vote will be announced. Each of the four winners will receive a $250,000 grant and training from Google. Google.org will pair each winner with a package including strategic support and Google volunteers. The remaining 8 finalists will receive a $125,000 grant, as well as access to mentorship and resources.